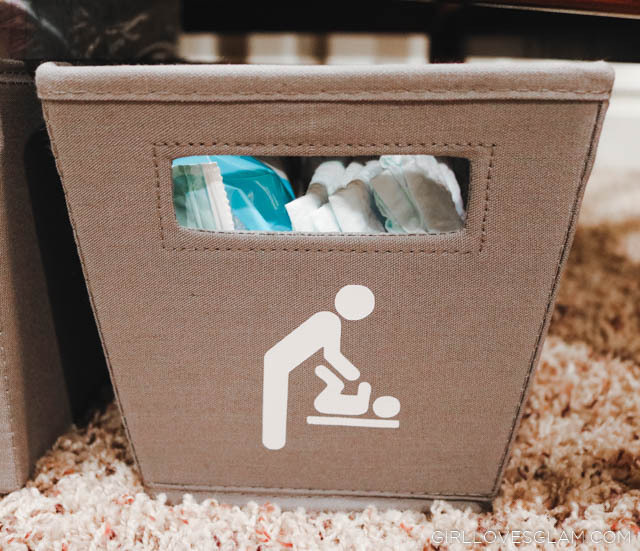 We have recently stocked up on diapers and wipes at Sam’s Club because there is an incredible deal happening right now. If you join Sam’s Club and buy any 3 participating Huggies® products in the same transaction, you will get $45 in Instant Savings! If you join online and complete your purchase on there, you will also get a $5 e-gift card. 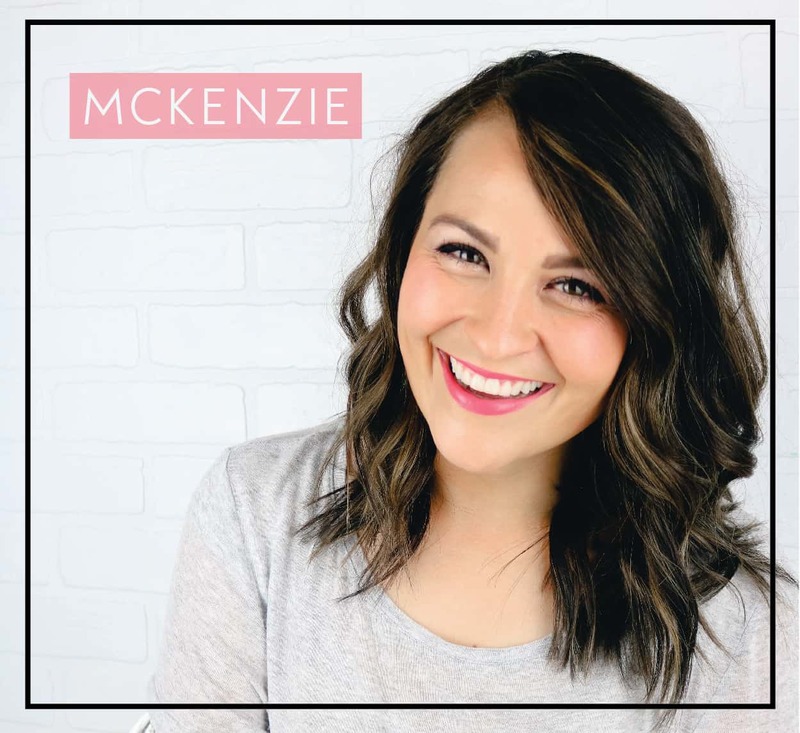 In order to take advantage of this incredible deal, you need to use this Sam’s Club link and either print it out to take into Sam’s Club, or fill it out online! 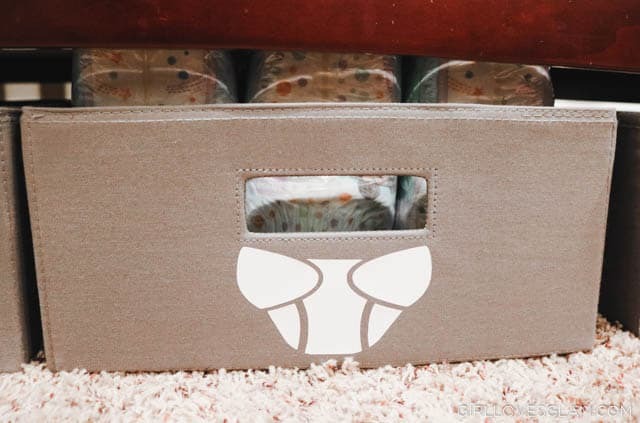 Huggies is a brand that moms can trust and it is such a bonus that it is at a retailer that moms can trust. I love that I am a Sam’s Club member now! I can’t wait to use the Scan and Go service. My dad might just be the biggest fan of Sam’s Club Scan and Go on the planet. He tells everyone about it! Now I can use that feature and I can’t wait. 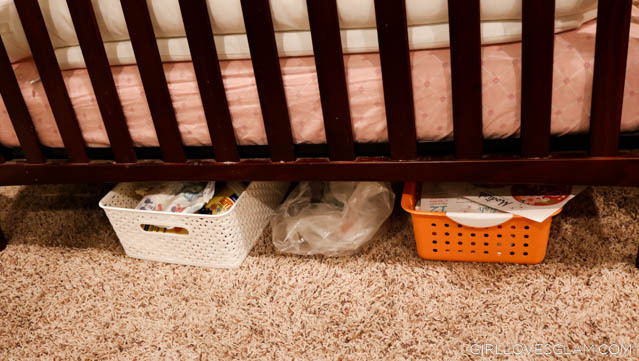 Before we came up with a diaper storage solution, our diaper situation looked a little something like this. It was cluttered, messy, and we didn’t ever know where anything was. 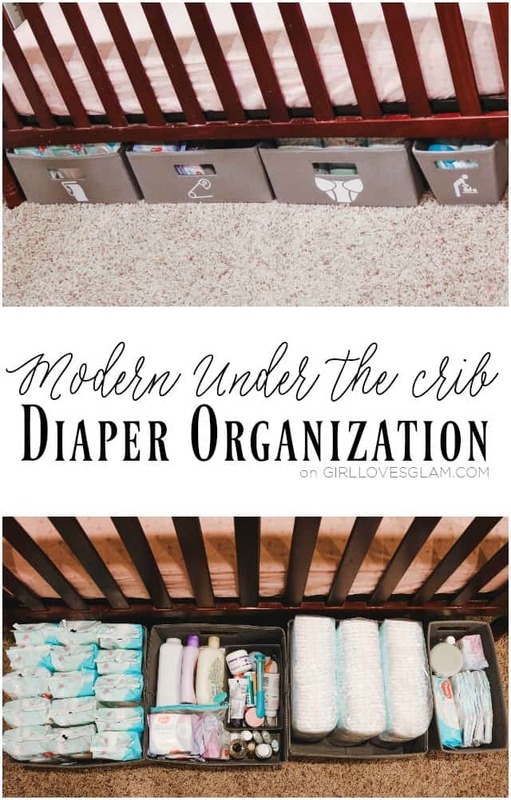 Now we can find everything, we don’t have any gaping holes under the crib, and our diaper organization serves as another piece of decor in the room. 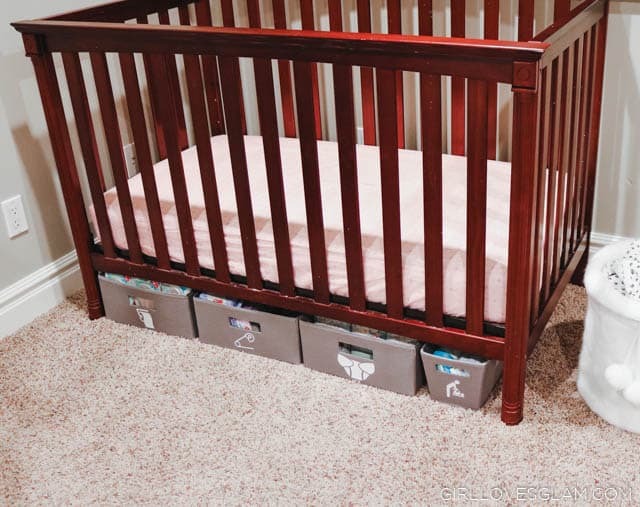 To make these, I measured the space under the crib and bought four canvas totes that would fit. 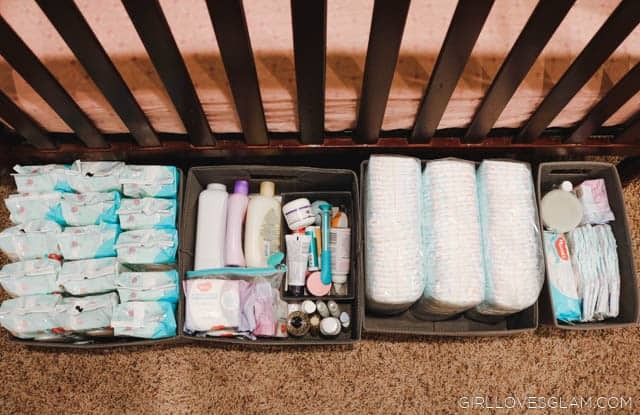 I decided to have one dedicated to wipes, one for diapers, one for random creams and other goods, and one that has everything we need to change a diaper. 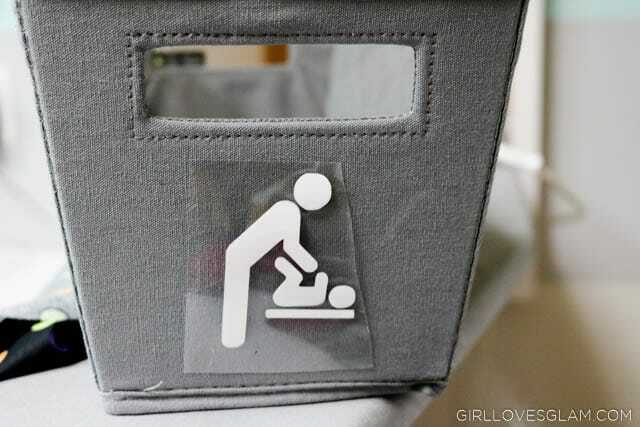 Next, I found simple images that I could put on each of the totes. I wanted to keep them clean and modern looking. 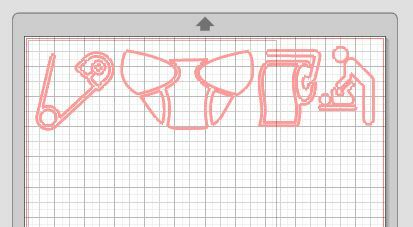 I cut them on heat transfer vinyl with my electronic craft cutter. After I cut them out, I placed them onto the totes and ironed them. When ironing on these types of canvas totes, make sure to place a piece of fabric over the image and cover the tote with it. 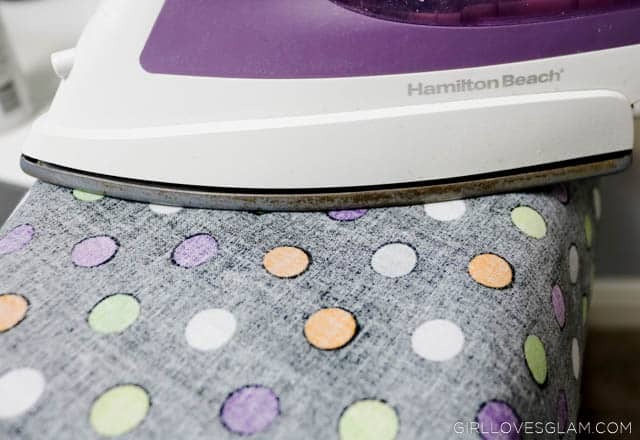 The material on the tote can kind of melt, so you just want it to be protected from the iron. 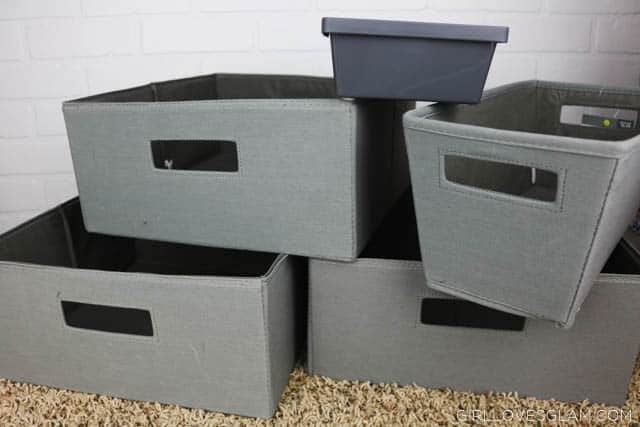 I love how each of these bins turned out! They are easy to access everything we need and they add a little more character to the room, while serving a purpose. 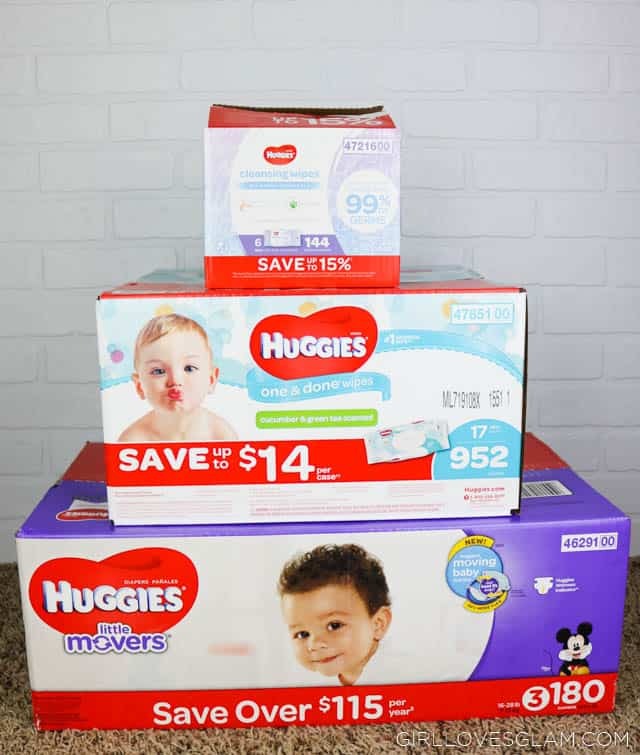 Don’t forget to visit this link to join Sam’s Club and take advantage of this Huggies deal while you can! 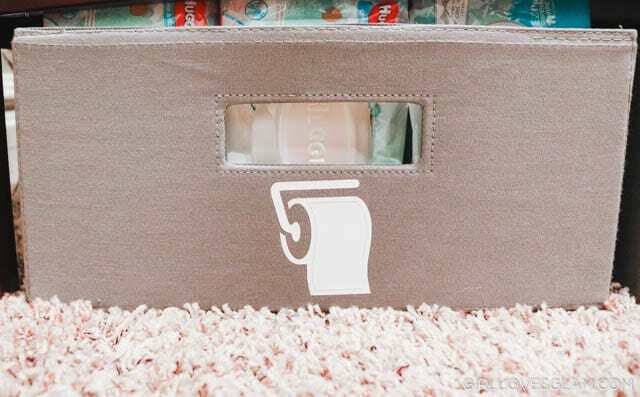 How do you keep your diapers and wipes organized? 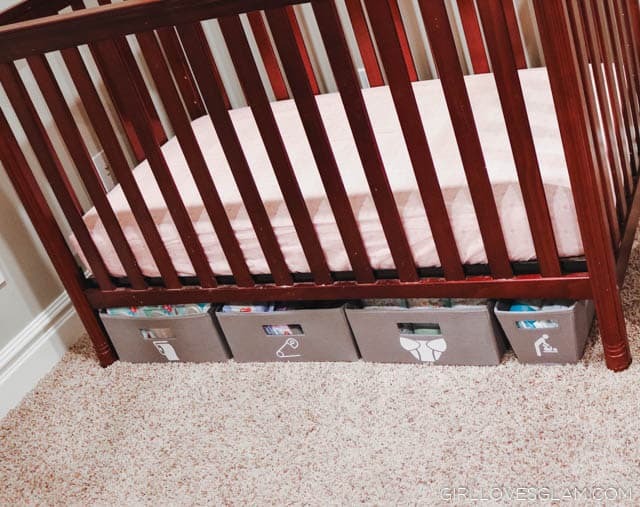 i like your bins but they don’t take up the entire depth of the crib. 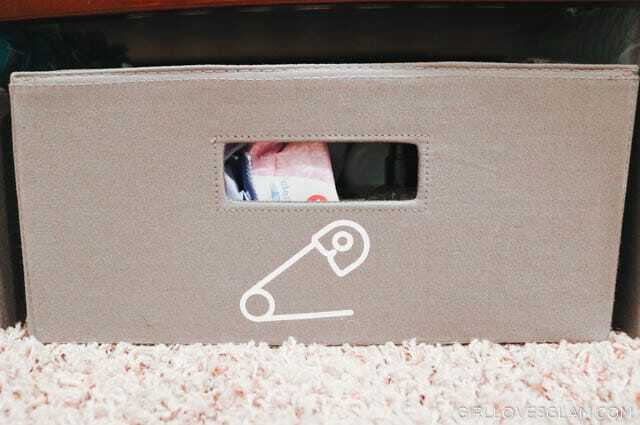 do you put anything behind them that can be used for more storage? You totally could put more back there, but I don’t have anything back there currently! Where did you find these canvas totes?